In the spring of 2001, Memphis’ Power Pro Wrestling closed down after a strong three year run. Power Pro was the successor of the USWA, which was the successor of the CWA, which is promotion that most people think of when they think of Memphis wrestling. For the first time in decades, WMC-5 was without a live Saturday morning Memphis wrestling show, so someone decided to put together a classic Memphis wrestling program to cater to the old school fans and to bring new fans up to date. By this point I’d lived in Memphis for several years, but had not seen much classic Memphis footage. 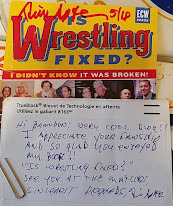 There was no YouTube or HighSpots, and unless you had a great wrestling tape trader’s contact information it could be hard to find footage from different areas, especially areas that were no longer hot like Memphis. Needless to say, this show was something I was super excited about. Opening the Vault of Classic Memphis Wrestling was a one hour show hosted by Jerry Lawler, Dave Brown, Jimmy Hart, and Corey Maclin. The show ran for twenty-three episodes beginning April 21st, 2001 and ending on November 17th, 2001. 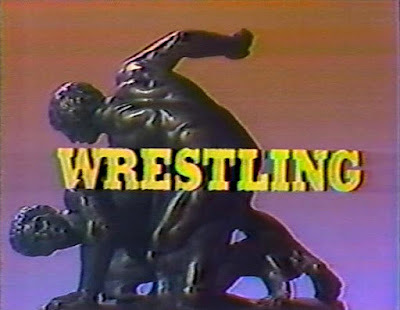 Each week the show featured clips and highlights of famous matches, interviews, feuds, and music videos from the 70’s and 80’s. It was a great way to get caught up on all the highlights of Memphis’ heyday of the 80’s and to learn about why some wrestlers worked well together and why others didn’t. The show frequently had call-in guests that were crucial to Memphis’ success in the 70’s and 80’s and this allowed for some great conversations to occur between some of the biggest names in Memphis wrestling history. I’ve hunted for episodes of Opening the Vault of Classic Memphis Wrestling for years. In December 2017, I finally ran across someone selling an almost complete set. The set I purchased was advertised to contain episodes three through twenty-three, and while I haven’t had a chance to verify that everything is there, I’m excited to finally have some of these episodes in my own wrestling vault. I loved this show and I thought it would be fun to share some thoughts and a mini-recap of the shows as I watch them. Unfortunately, since almost all the wrestling footage consists of clips it’s not something that is easily reviewable. We begin the show with an introduction by our hosts: Jerry “The King” Lawler, Dave Brown, Corey Maclin, and Jimmy Hart. Everyone but Jimmy Hart is dressed in black shirts and black slacks, which makes them look like they are about to knock off a bank. 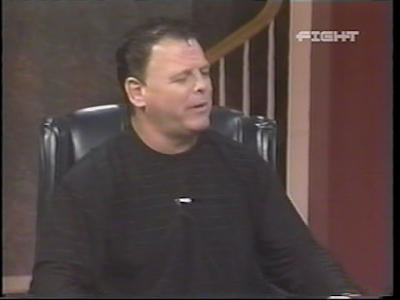 It’s immediately noticeable and Jerry Lawler acknowledges their accidental wardrobe coordination. 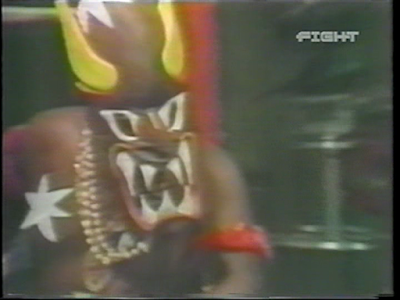 The first clip we are presented with is Kamala’s in-studio debut. The thing I immediately noticed was how loud and crazy the crowd got. Kamala was so big and so unique, he truly looked like a man out of time in the tiny studio of WMC-5. Kamala played everything up and seemed both scared and fascinated by the cameras and monitors. The clip was maybe two minutes long, but it brought back some major feelings of nostalgia for Kamala’s time in the WWF. His look has stood the test of time and he’s one of the few wrestlers who truly felt like a big and powerful monster. The next clip features The Rock N Roll Express vs. 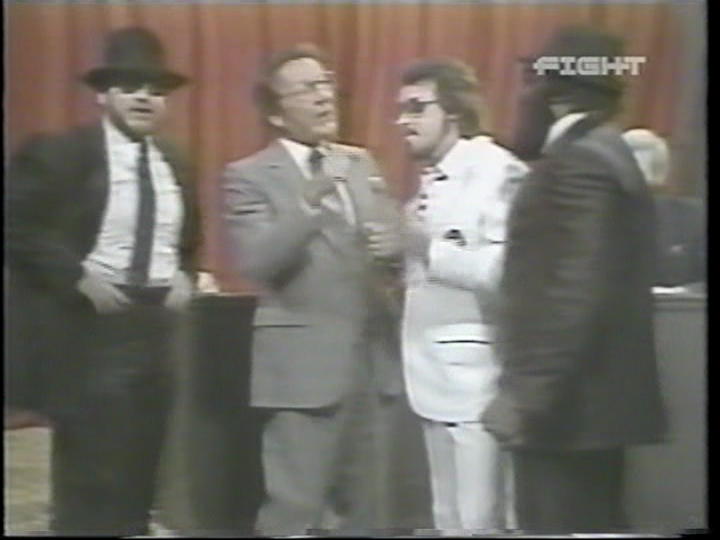 The Bruise Brothers (Pork Chop Cash and Dream Machine) w/ Jimmy Hart that occurred on November 7th, 1983. The Bruise Brothers were inspired by The Blues Brothers and were commonly seen dressed as the iconic characters from the 1980 movie. Memphis was known for taking popular characters from pop-culture and turning them into wrestlers with varying success. The clip picks up about a minute before a moment that anyone who’s seen a classic Rock N Roll Express match knows is coming. Ricky Morton is taking a beating and it looks like the pin is just around the corner, when finally, he makes a diving desperation tag and in comes Robert Gibson ready to lay a beating on our heels. The Rock N Roll Express pull off the win and became the CWA Southern Tag Team Titles. They exit the ring to a huge ovation and begin making their way to the back. After the Bruise Brothers gather themselves they start beating up the referee Paul Morton, who happens to be the father of Ricky Morton. The Rock N Roll Express return to stop the beat down and Ricky is forced to carry his father’s lifeless body out of the ring and toward the backstage area. Jerry Lawler loves to tell people that he created The Rock N Roll Express, and if I had created arguably the greatest tag team ever, I’d tell everyone too. Something I haven’t heard before that Jerry mentions before this clip begins is that he sent Ricky Morton and Robert Gibson to the flea market to buy bandanas and they were very much against the idea. I found it quite humorous that the iconic look of The Rock N Roll Express began at a flea market in Memphis. The match is followed up with a short in-studio interview with The Bruise Brothers. It added nothing to the clip and I think was just what was aired during the original airing of this match. Our next clip comes from a match between The Fabulous Ones (Stan Lane and Steve Kern) vs The Moondogs with Jimmy Hart. According to my research, this match occurred on January 9th, 1984 and was an anything goes match at The Mid-South Coliseum. The brutality of this match was quite impressive as Kern was hung by the top rope by his neck. He hangs there for quite some time and it looks perilous. Even without seeing the buildup of the match, I was on the edge of seat almost screaming at the TV for Stan Lane to free him. Kern eventually loses consciousness and the referee calls for the bell giving The Moondogs the win. This was brutal and amazing. The Moondogs music video is up next and it’s surprisingly catchy! The Memphis wrestling music videos are really hit and miss, but this song is great. The song is called “Moondog Blues” and is by “Blind Melon” Leviton. I can’t find anything about Blind Melon online, and it wouldn’t surprise me if Jimmy Hart actually composed the song. Be sure to watch it below. Next up is something of a rarity when seeing Memphis Wrestling clips online, it’s heel Lawler in Memphis. Jerry Lawler flipped between face and heel quite a few times in Memphis, and this was one of the times when he was playing heel to face Superstar Bill Dundee. I was unable to determine which match between these two guys this was, because I’m pretty sure Dundee and Lawler have faced off at least a 500 times. The one thing I really enjoyed about this match is that all the footage came from the ringside camera so it gave the match and unique feeling. The majority of the footage consists of Lawler beating the snot out of Dundee. Lawler busted Dundee open with a chain and you can tell the crowd is really behind Dundee, but with no context it’s difficult to really become absorbed in this match until the end. The match eventually turns into a slugfest with massive hard punches thrown by both men. If you’ve never seen Lawler and Dundee punch it out, do yourself a favor and YouTube one of their old matches. These two men could duke it out like no others. 1. It was carny and over-the-top. 2. It was deadly serious and felt real. I’d say 75% of the time it was very over-the-top and ludicrous but when things got real, they felt real. The end of that Lawler/Dundee match felt real. You really felt like these two men hated each other and even when Lawler was clearly victorious, he just continued to beat the living hell out of Dundee because he hated him so much. After the match we see an in-studio interview with Lawler from the following week where he brags about beating Dundee so bad that his wife wanted nothing to do with him. This led to Dundee’s actual wife coming at Lawler in full-on crazy defensive wife mode. This wasn’t a cheesy wrestling skit involving someone’s spouse getting defensive over their mate, this was “She’s going to scratch his eyes out and destroy him if she gets to him.” It was so authentic, which is something we are sorely lacking in today’s wrestling landscape. 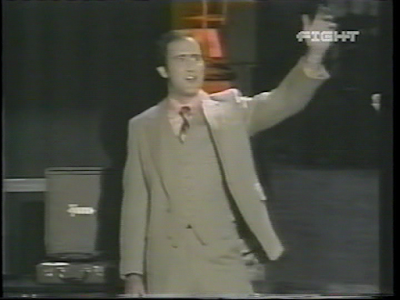 The next set of clips comes from an Andy Kaufman documentary, “I’m From Hollywood.” The footage involved interviews with Robin Williams, Tony Danza, Marilu Henner, and Bob Zumuda discussing Andy Kaufman and his eccentric behavior. No wrestling clips were shown nor was wrestling mentioned and this felt like something that was added at the last second to fill out the show. Our final wrestling clip comes from a match featuring Austin Idol vs. Randy Savage with Angelo Poffo at ringside. People who’ve never seen classic Memphis wrestling will never understand just how over Austin Idol was in Memphis. It’s wild and you can see by how insane the crowd is that they love the guy. Sadly, this match is pretty ho-hum following the Lawler/Dundee match, and Savage gets the win after hitting Idol with a foreign object. Following the match, Idol managed to trap Savage in the ropes, and is able to put the Las Vegas Leg Lock on Angelo while pulling himself up and down on the ropes. It looked pretty vicious and led to Angelo having to walk on crutches. After the match we get a quick Austin Idol studio interview and then a Randy Savage interview. It’s decent, but nowhere near his Macho Man stuff. It’s a bit weird watching a low budget interview with Savage where he sits in a room in a wife beater just talking to the camera. The show ends with a special phone interview with Bill Dundee. Superstar says that The King was both his favorite opponent and his favorite tag team partner, something The King had mentioned earlier in the show for him. You can tell that both men have mutual respect for one another and its nice way to end the show. I hate that I had to begin with episode three, but overall it was a pretty damn good episode. I really want to find this Lawler/Dundee match and see it in its entirety along with The Fabulous Ones vs. The Moondogs. I have the first two episodes. I would like to put ours together and have a whole set.